For Yemenis, President Ali Abdullah Saleh's continued violence is not surprising. What is surprising Yemenis, indeed enraging them, is the blatant interference in their constitutional right to protest peacefully by the United States ambassador in Yemen, Gerald M. Feierstein. Government soldiers opened fire on a giant demonstration in Yemen's capital on Christmas Eve, killing at least nine protesters, and injuring many others. The demonstration, which started in the city of Taiz, was against the immunity given to President Ali Abdullah Saleh and his associates by the Gulf Cooperation Council (GCC) agreement signed in Riyadh. For Yemenis, Saleh's continued violence is not surprising. Hundreds of lives have already been lost. And yet another giant demonstration is being organized in the Red Sea port of Hudaida to march all the way to Sanaa. What is surprising Yemenis, indeed enraging them, is the blatant interference in their constitutional right to protest peacefully by the United States Ambassador to Yemen, Gerald M. Feierstein. 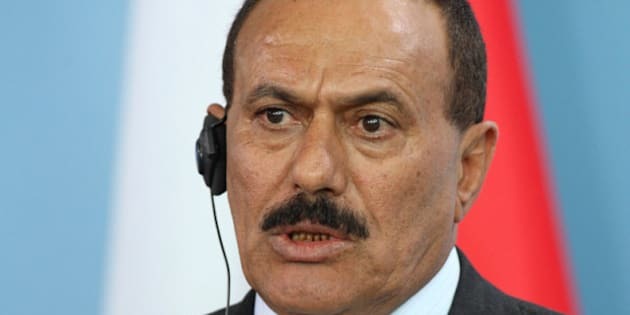 He recently said that the hundreds of thousands of protesters were "not peaceful" and seemed intent on traveling to the capital in order to cause "chaos" and "provoke a violent response," thus justifying in advance any violence they might be met with by Saleh's troops. On Oct 17, 1995, the Nation of Islam leader Minister Louis Farrakhan called for "a million man march." What if the Ambassador to Yemen in Washington at the time had made similar, or indeed any, remarks about the Million Man March in Washington? I have a few questions for Ambassador Feierstein, if he has the time to answer: Should he not now apologize to the families of the nine killed and the 200 injured victims of Saleh's brutality? Did he pass that statement by the interim Yemeni Foreign Minister Dr. Abu Bakr al-Qirbi, a staunch supporter of Saleh for decades?